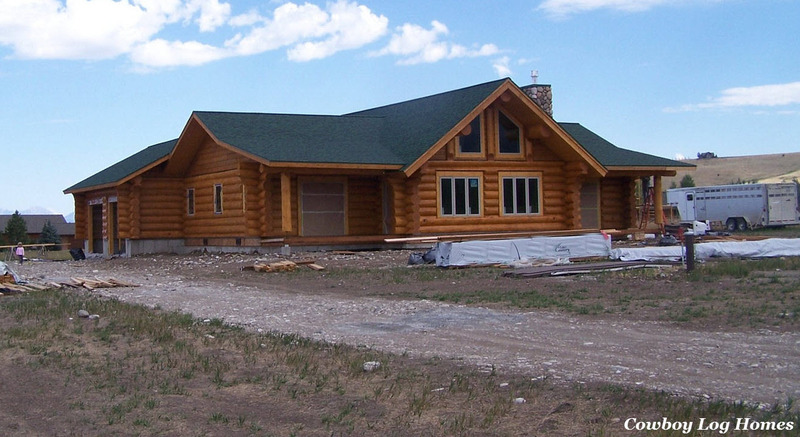 The last element of finishing the exterior of the log home is the driveway. When we began excavation we first scraped the topsoil off of the driveway. Then we took some of the clean fill that was dug out of the crawlspace and spread it on the driveway to establish a very solid base. Also of course this helped to reduce the amount of fill that had to be hauled away. 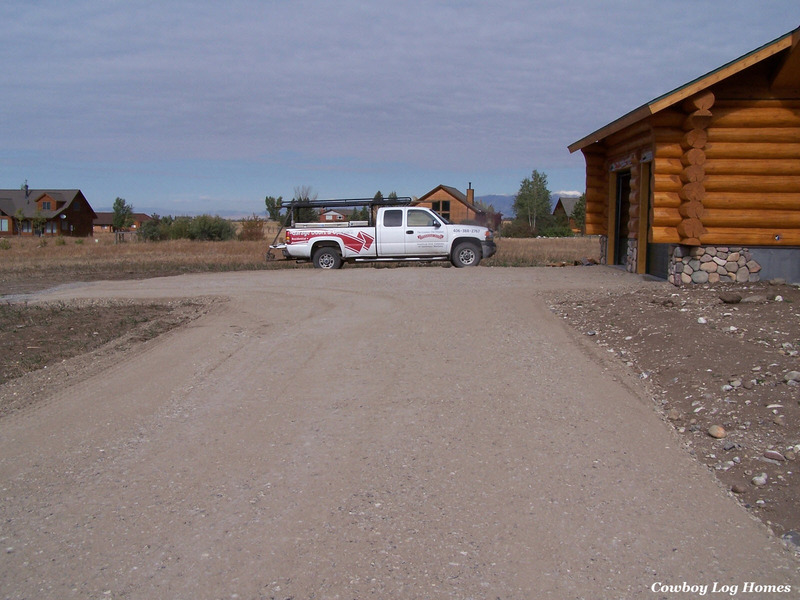 Here we see the driveway shortly after the dryin of the cabin was completed. 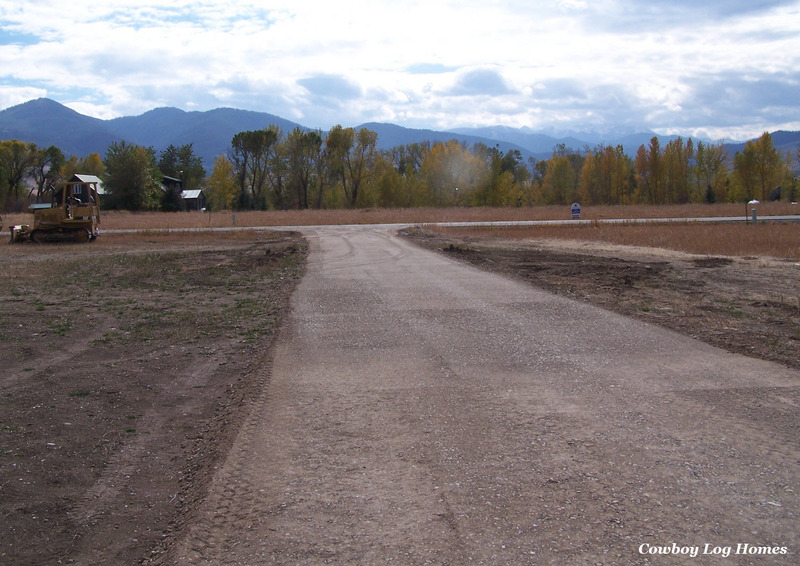 Once all of the heavy delivery trucks and the backhoe work was completed we took a few days and rolled in a solid gravel base on top of the rough grade of the driveway. This material is a mix of larger gravel and smaller gravel and some materials as fine as sand. This is called ‘road mix’. The driveway was built up by about 4 to 6 inches above the ground level. To perform this work a dump truck, bull dozer, and packer (machine with large roller) were utilized. Now It is ready to black top next summer. Meanwhile we also have a very smooth gravel surface to drive on for the remainder of the winter. Driveways are an important part of insuring easy access to the log home no matter what time of year it is. 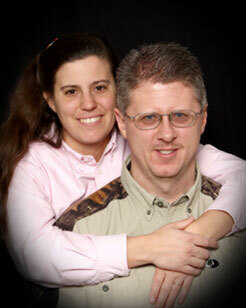 Even though the drive is not that long, it still was an important investment of time and money.